There are many forms of disability including invisible disability. 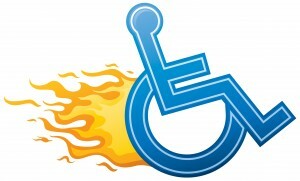 These few pages on the Burning Nights CRPS Support website are dedicated to disability. In addition they are mostly concerning Complex Regional Pain Syndrome (CRPS/RSD) and persistent pain. The above mentioned disability pages are detailed below. If you have any suggestions or stories for these disability pages then please do get in contact with us and let us know! This page is about both good and bad examples of disability access around the UK. This includes shops, restaurants, music venues, cinemas, bars, hotels etc. Do you have a disability access story either good or bad? If so please do get in touch and we can include it onto the web page. On there you can find 2 stories both good; 1 for a venue and the other for a pub. The page also helps you understand how to get better disability access in your areas and what you can do to help. Also in this disability access section we have some more great information about ‘Getting Around With A Disability’. For example the disabled person’s railcard or the National Express Disabled Coachcard. Or furthermore where to get information about your Blue Badge and more! We have also included information on having Fun, Fun, Fun as a disabled person. Such as when you go out to the cinema or having days out and all the concessions that are available. If you don’t ask you don’t get! This page discusses how attitudes towards disability especially invisible disabilities such as CRPS/RSD. Do you get anyone staring or leaving notes on your car saying “Don’t park in a disabled space, you’re not disabled!” If so this is the space to let us know! How do you personally deal with critical stares and comments? Are you calm and polite or do you give back as you get? Help others to understand how to deal with public attitudes towards invisible disability. 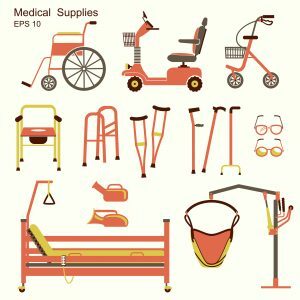 Many people who live with chronic conditions such as CRPS, ME, Fibromyalgia, chronic pain have severe problems with their mobility and for one reason or another they have various equipment aids such as walking sticks, crutches, canes, wheelchairs, braces etc.. They will also most probably use various aids around the home to assist with daily living. This section just deals with disability equipment and aids for around the home and outside. There is also information on getting help with garden maintenance if you’re a council tenant. This page is designed to give you an insight into the Equality Act 2010 / Disability Discrimination Act and how it can help you in your every day life. This page talks about how your employer can help you come back to work and the reasonable adjustments they can make and they are enforced by disability law. The Equality Act 2010 / Disability Discrimination Act gives a section just for reasonable adjustments and they are there as long as you let them know of your disability, especially for CRPS / RSD sufferers as it is an invisible disability so many people including employers are unaware of it. Why not visit this Equality Act / Disability Discrimination Act page and discover all about it today?! 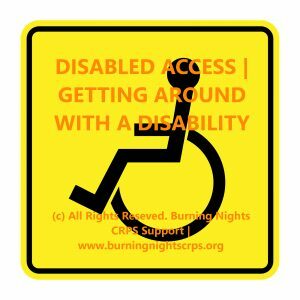 If you would like to send Burning Nights CRPS Support your stories on Disability for any of the pages within the disability section, then please do send them in so we can show both good and bad examples on any of the disability areas, fill in the Contact Form, email us or go to one of the social media sites and comment!